So what am I up to now? The idea is to write every morning for an hour (or as long as I can) and see what comes out. The hope it that it will help me out with a few things, among them arranging my thoughts so I can get on with the PhD I just registered for. And what am I doing a PhD on? My thesis will look at 21st-century parodies of 19th-century texts using monsters. Or it will look at 21st-century parodies of 19th-century monster texts. It’s a subtle difference, and I’m as yet undecided which one I’m more interested. The question I want to get at is this: why do we keep returning to the past for our stories if (as I assume is the cast) we don’t see any value there, or any continuity with the past? What use are 19th-century monsters to us, with their tired Freudian analyses and the general diffusion of their monstrousness in the 21st century? I think I’ve already lost many people with that sentence, which is a problem, because this is something I also need to market to non-academics to eventually try to find funding as a post-PhD researcher. 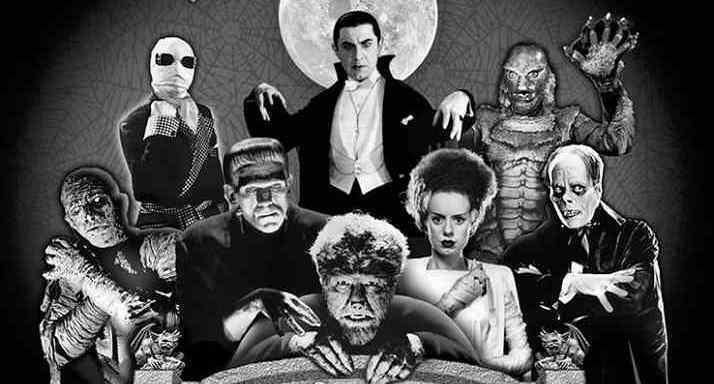 What do monsters ripped from classics of Victorian Gothic and the pages of penny dreadfuls tell us about ourselves? What do they tell us about how we look at history? Hopefully on the pages of this blog (and the pages of my thesis) the answers to those questions (and to new questions) will begin to take shape over the next few weeks. The tentative title is: “Excentric Monsters: Neo-Historical Narratives and Contemporary Posthuman Cultures”. Really what we’re saying with that title is it’s not about the 19th-century monsters at all. It’s about the way contemporary audiences deal with historical texts and figures. One way audiences seem to connect well with the 19th century is through laughter. We love laughing at the Victorians, whether at the crazy things they do, the strange ideas they had, or the way their lives were so much like ours. If mimicry is the highest form of flattery, laughter is the great equalizer. Humour (often synonymous with irony in this case) is one of many ways 21st-century texts grapple with history and identity. Far from people who would argue that irony is killing our culture, I really think that irony is what will allow our culture to flourish in this century. What people fail to grasp is culture’s ability to be silly and serious at the same time.